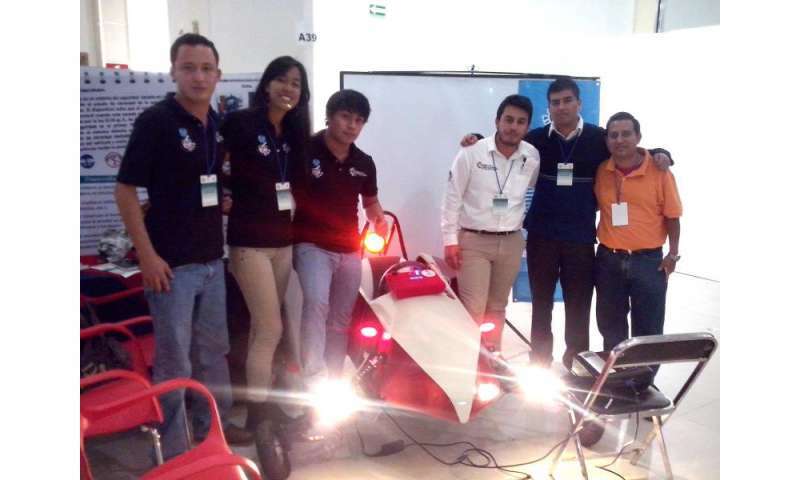 As a strategy to decrease road accidents caused under the influence of alcohol, a group of young students at the Institute of Technology of Cintalapa, Chiapas, (southeast state of Mexico) have developed an automotive safety system that detects the alcohol blood level of a person and prevents them from driving. The project is called AlcoStop, and emerged from the high incidence of road accidents in Mexico in which alcohol is involved. According to data from the National Institute of Statistics, Geography and Informatics (INEGI), there are 77 thousand mishaps of this type per year, equivalent to four cases per hour. 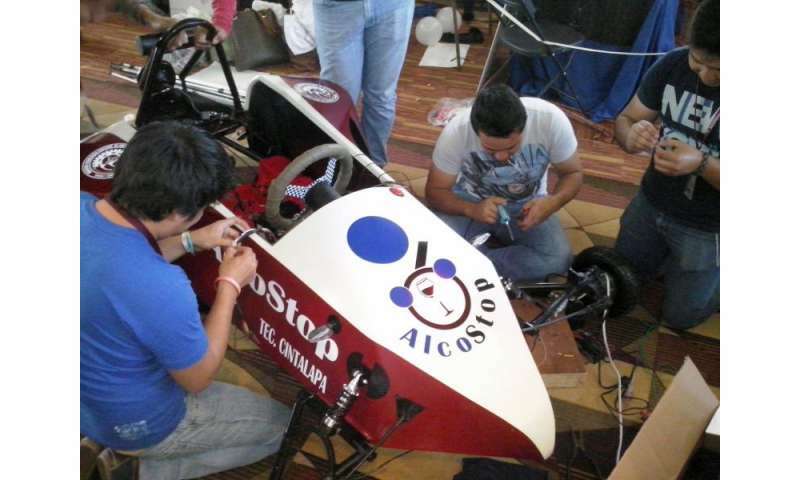 AlcoStop was developed by three students of renewable energy and five from computer engineering at the Institute of Technology of Cintalapa and aims to avoid car accidents. The system works through a series of sensors placed on the steering wheel, the shift lever and seat, which detect through sweat if the person is intoxicated; if the result is positive, the motor is disabled, which prevents the individual from driving. It also has a GPS tracking unit that allows monitoring in real time. The young entrepreneurs also designed a mobile application that sends a signal to family or friends with the location of the vehicle. "If the car is disabled, someone can go and pick up the driver," says Karla Isabel Sánchez García, CEO at AlcoStop. She adds that the system is easy to use, economical and anyone can install it. "The idea is that the person buys it and installs it by themselves, pretty much like a car alarm focused on detecting alcohol." It is also practical in comparison to other products, for which a breathalyzer test is needed every time the driver gets in the car. AlcoStop detects the person behind the wheel, and if the system does not indicate measurable levels of alcohol, the car will start, but if the driver is under the influence of alcohol the vehicle will remain still. The youngsters aim to consolidate the project as a company. "We have had invitations from the Secretary of Transit from the Chiapas state government to implement our system, but the project is still under investigation," says Karla Sanchez. "We try to refine sensors, so that they are equally efficient for people who do not perspire much, and thus provide a strong result," she adds. Students set the end of 2015 as their goal to finish the project and make way for the company, which will initially be supported by the program for young entrepreneurs, driven by the Government of Chiapas. The project, assisted by Jorge Bermudez Iván Rodríguez and Eder Toledo Valente Núñez was the winner in the fourth National Technological Innovation Contest 2014 in its Regional presentation. Not a usual accessory in Southeast Mexico. And since this is installed voluntarily I'd think there'd be no reason to try and circumvent it.